The 3028, 3033 and 3040 are all really exactly the same card, the only difference is the speed of the processor. The card is very similar to the A4000 version (please see Warpengine 4040/4033/4028 for more information) except that it had the INT2 jumper line and also only had two SIMM sockets as opposed to four which were fitted in a very low profile to fit inside the A3000. This card requires Kickstart 2.04 or higher to work in the A3000. It also includes a Fast SCSI-II controller (NCR53710) which provides a 50pin internal SCSI connector. The WarpEngine also supports an 030 fall-back mode. Note, this mode probably only works if you also have an 030 on the motherboard, eg most A4000's don't. 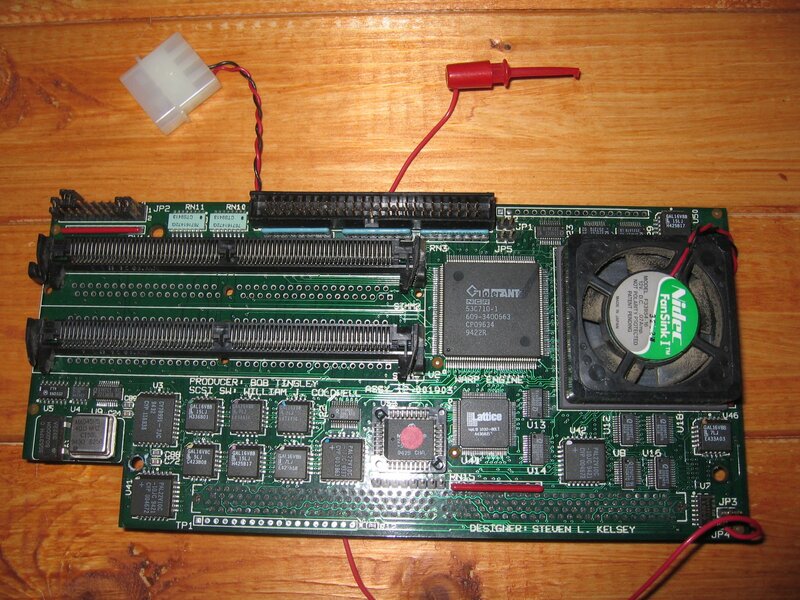 You can connect a switch to JP2 with the clock jumper set to internal to disable the RAM and on-board SCSI which may help with very old games.